Yes, that is me. Never get down haha. Well in Jan 2014, I’m dissapointed of wordpress. I dont know what to write. Always right about cakes and cakes anda cakes. People getting bored woth my articles. Then I have announce that I want to delete my wordpress account. But theres somebody still folllow me. Thanks buddy for following my boring wordpress. I think my planning to shut down this account is cancel. I’ve been so busy to handle my business online for a week, making a cakes ordered by a customer on my Facebook page. Now sitting on a chair with hot chocolate and making a fondant cake for my cousin’s birthday. When baking a cakes for my younger cousin, I choose to make a fondant party kid’s cake. 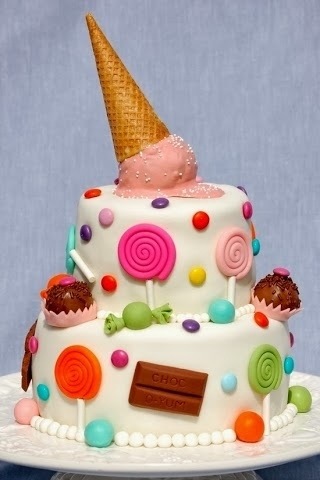 I like to decorate it with icecream, chocolate ball and lollypop in fondant. I love decorating a cakes since I learnt it from Cakes Decorating Secret . Its an easy step-by step ebook to follow. Theres too much on Youtube but there are no good quality videos. Sometimes I don’t understand, sometime it didin’t show us their recipes, their tools, lots of talking and more. Ok below is my picture, if you interested on decorate cakes and learnt online. This is the best ebook ever.. Cake Decorating Secret . Before I starting my bakery business, I have learn many tips and recipes about cakes on the internet, ebook, cookbook and magazine. This is because I have no time to attend a cake courses because of to look after my baby at home. I’m a nursing mama, giving a breastfeeding to my baby. So I have no time to attending class and courses. 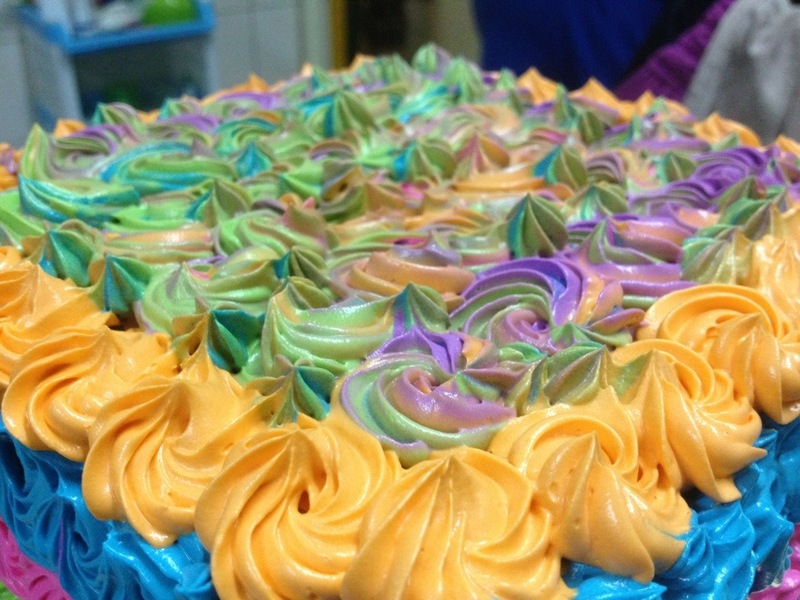 I really love baking cakes and I choose to open online bakery through my blogspot and fanpage. Ok there are one of the best ebook that I found and purchased from the internet. Its about cake decorating. So many beautiful cake decorating here. Its now 2.25 am and I still can’t sleep. My baby already sleep and dreaming. So I online via my ipad and browse some recipes and then I found this Baking Tips and Tricks from Anne Willan. I think this is a helpful tips for me as a bakers. Well here it is..
1. Cooking times and temps can fluctuate from oven to oven, so trust your nose, eyes and touch above all. 2. Butter and flour cake pans for an excellent non-stick surface. 3. When lining a baking sheet with parchment paper, put a dab of butter at each corner to stick down the paper. 4. Never scrub sheet pans and cake pans as it ruins the surface so they stick. Simply wipe with a tea towel and watch them get better over time. 5. You know a bread loaf is done when a simple tap on the bottom crust sounds hollow. 6. A cake is done when it shrinks from the sides of the pan. 7. When slicing big cakes, set it on a round of cardboard to steady it before you start. How to make Pumpkin Cake? Heat the oven to 350°F/175°C. Grease and line a 9-inch/23-cm spring-form pan. Beat the yolks and sugar until light and pale. Beat in the cornstarch and corn flour until smooth. Beat in the pumpkin, rum, and orange zest. Finally, beat the whites into peaks. Stir some into the pumpkin mixture to lighten it, then fold the pumpkin together with the remainder. Pour into the pan and bake until done, 45 minutes to an hour. Let the cake cool slightly, before running a knife around the edges of the pan and removing the sides. 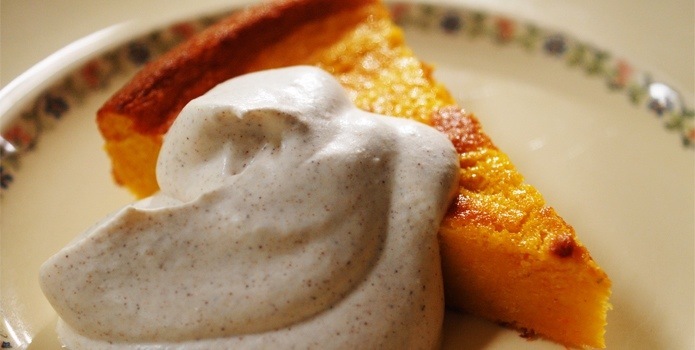 Serve slightly warm (not too warm, or impossible to cut) with cinnamon whipped cream. I’m back again, ok its been long time I didn’t online here since I’m busy experimenting a new foods and plaining to doing a business bakery. I am not announced about my closing boutique. In this year on January, I closed my online boutique for some reasons. I like fashion but when joining a business fashion, its not easy like I think before. Less customer, poor in promoting and not reached a target or audience is a reason on why I closed my online boutique. But it doesn’t matter for me, I will never give up. I love cooking & baking. And this is my hobby since in a childhood. I love experimenting a new foods from a recipes that I take from a tv shows, magazine, internet, my mum, friends & family and more. I always learn a tips on baking and cooking on internet and tv shows, sometimes from my hubby and my mum too. My hubby loves cooking too but he is more to a side dish. He doesn’t like baking but thank God that he is very understanding man, even he didn’t like baking, he always support me in what I’m interested. Thanks hubby. I do not like to cook dishes but I try to learn more recipes about dishes if there is an appropriate time to me. I prefer to cakes and desserts. I love baking cakes all the time. And now I try to make my own online bakery and selling my cakes around my neighborhoods. 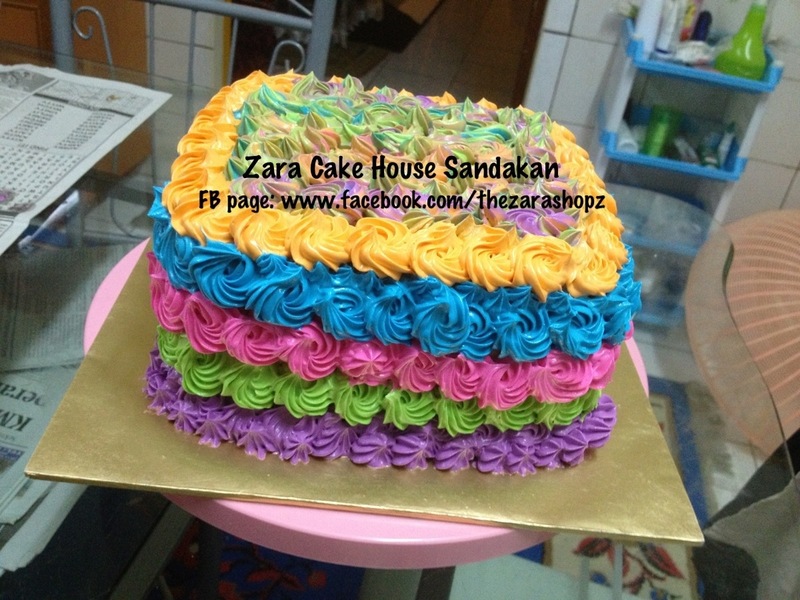 My fanpage is still The Zara Shopz but I have deleted all my clothing albums and replace it with my cakes pictures. Don’t forget to visit my fanpage there. Hehehe. Ok the reminder is remind me for my favourite tv show, French Food At Home. I admired Laura Calder. She’s beautiful, gorgeous chef in the planet with a delicious foods and recipes that makes me hungry all the time. I like Anna Olson’s too, her recipes is so easy to follow and more delicious recipes on her shows. I can’t wait to watching her premmiere Bake with Anna Olson at Asian Food Channel on this Feb 12, next week after Chinese New Year celebration. Its the time now. See you all soon for more updates. Good night.